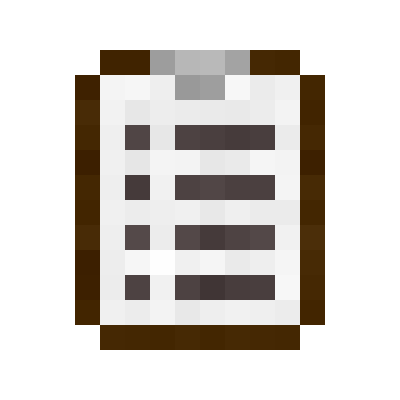 A simple clipboard for keeping track of your todo list. 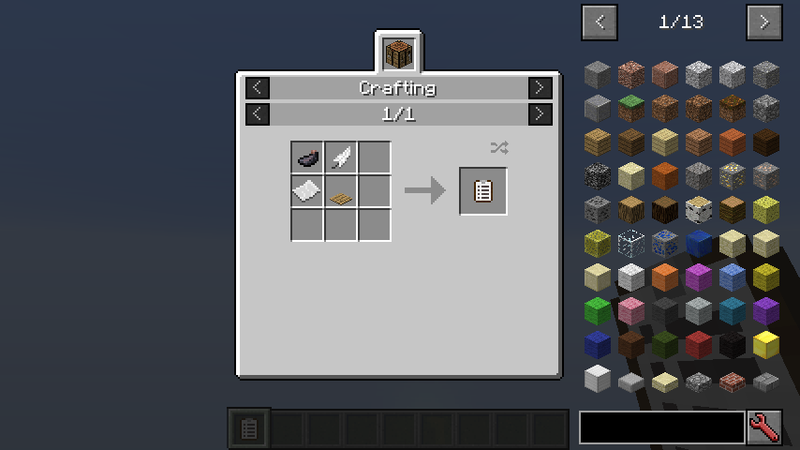 Can I use this in my public modpack? I see no modpack policy stated. I'd like to use this mod in another public modpack. It won't be public until I get all the mod permissions, but it's the pack I'm playing in this series. Similar to my other pack, all mods will be properly attributed with links. Do I have your permission to include this mod? 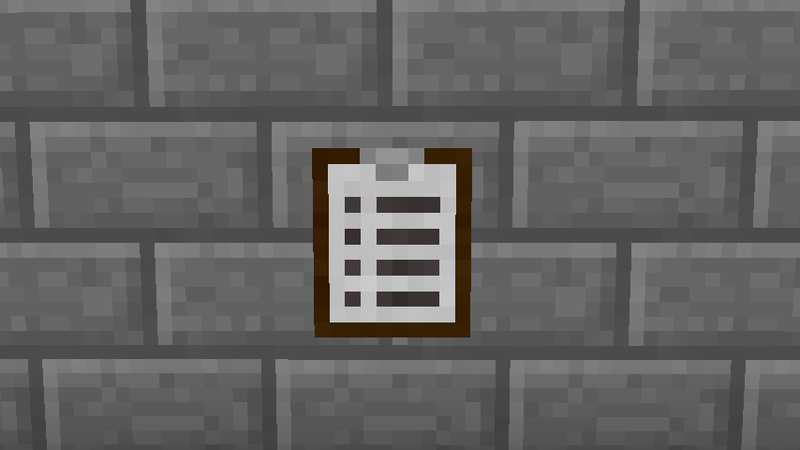 Looks good, simliar to bibliocraft's clipboard but looks like new art. 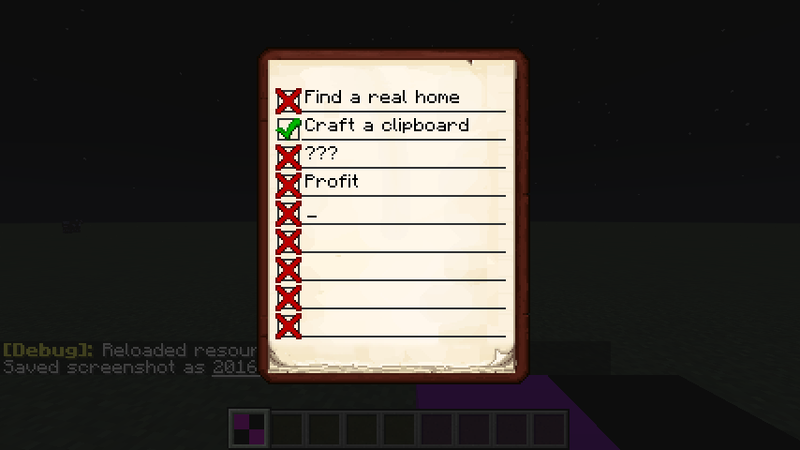 Yep, it was made as a 1.10.2 replacement for the BiblioCraft clipboard.